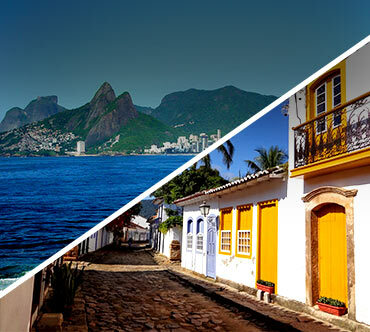 Enjoy your bus trip to Paraty and get to know the amazing coast of Rio de Janeiro! Full of charms, Paraty offers various trails, amazing beaches and waterfalls for those who enjoy eco-tourism. The city became visible and emerged as a strong tourist destination after the creation of the International Literary Festival (FLIP) in 2003. With charming historic buildings and cobblestone streets, the city maintains the history alive. Besides being an important cultural center, Paraty also has outstanding cuisine, and is a major producer of rum. The city still concentrates quality handcraft producers. Paraty is located in the state of Rio de Janeiro. It is at a distance of 250 km from the state capital (Rio de Janeiro). You can get in Paraty by bus from cities in the states of São Paulo and Rio de Janeiro. The bus trips are made by Costa Verde Bus Company and UTIL Bus Company. When to go to Paraty? The climate of Paraty is nice during the all year. It´s maximum temperature is 35 degrees Celsius, while the coldest days in winter the temperature drops to 12 degrees, allowing visitors to enjoy all amazing attractions in city. The Paraty Bus Station is located at Rua Jango Padua - Downtown. The bus terminal connects Paraty to cities from the states of São Paulo and Rio de Janeiro. If you need any help or advice from the bus station, you always can make a call to their number at +55 (24) 3371-1224, but we can not guarantee they will be able to speak English tough. Check a few of the main bus routes to Paraty: Sao Sebastiao to Paraty: In the coastline of Sao Paulo State, Sao Sebastiao is the city of departure to get in Paraty. The bus trip lasts 3 hours and the bus company responsible for this trip is UTIL, two buses depart daily, one in the morning and one at night. Rio de Janeiro to Paraty: Costa Verde is the bus company responsible for the trip between Rio de Janeiro and Paraty. The bus trip takes 4 hours and there are many departures during the day, around 13 buses leave from Rio de Janeiro Bus Station (Novo Rio) to Paraty. Niteroi to Paraty: Niterói and Paraty are located 255 km away. 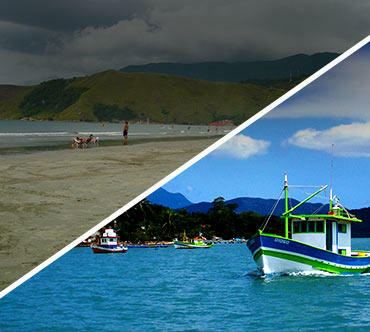 The bus trip is offer by Costa Verde bus company and it takes 5 hours from Niteroi Bus Station to Paraty. There are 4 buses departing daily. Caraguatatuba to Paraty: This route takes 2 hours, and you can go from Caraguatatuba to Paraty by bus with Util, there are two buses departures during the day. Bus tickets to Paraty: Here at BRAZIL BY BUS, you can book your bus ticket to more than 3,000 destinations in Brazil with major bus companies in the country. Booking and cancellation are 100% online and international travelers can book your international credit card.